THE SEAT OF HOLISTIC CARE IN NEW YORK CITY. Studio Britta is a place where you can escape from city life to indulge in the infinite possibilities of natural beauty. Led by New York’s premier holistic facialist Britta Plug, our staff takes a highly enlightened approach to modern skin care. Steeped in the traditions of Chinese Medicine and Ayurveda, we offer intuitive, massage-based facials and acupuncture treatments personalized to ease away your skin concerns using ancient and modern tissue transformation. Our high-vibing hands will set your skin on its natural course of optimal health and visible radiance. A wealth of skin wisdom. We believe that beauty is a journey, an ongoing quest for the most radiant self. Our tools and techniques are designed to be easily integrated into daily life in the form of powerful self-care rituals that continuously nurture optimal skin health between Studio visits, naturally revealing the most beautiful version of the skin over time. It is our pleasure to share a rich fount of skin wisdom that has been passed to us through ancient methods and adapted for modern life. Beauty is a process, not a product. Potions, serums, oils. Magical substances that we rub into our faces to make them glow. We love them, provided they are pure, natural and entirely of the earth. But, contrary to what the beauty industry would have you believe, the key to beautiful skin is not the neverending search for a panacea in a bottle. Beauty is deeper than that. Skin is a living thing, enveloping and protecting your face and body with great integrity. This miraculous, gatekeeping organ needs inside-out nurturing, not just something topical to slather on and create the appearance of health. The good news is our skin is naturally equipped to thrive. We just need to help it along with mindful daily practices and enlightened Facial Attunement treatments. All of the answers are available through the wisdom of the ages. 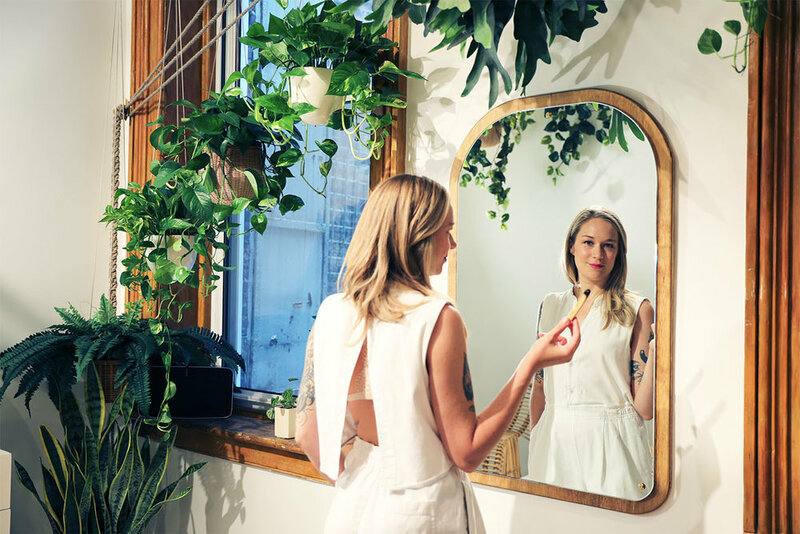 Studio Britta is your own source of ancient skin wisdom, channeled directly to you, so that you may shine brightly as you make your way through modern life.